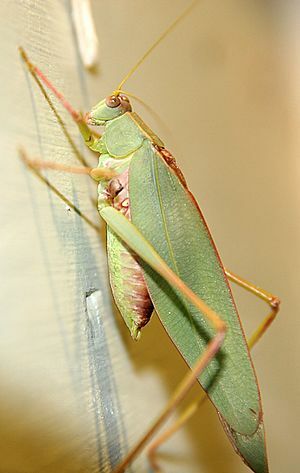 Ensifera is a suborder of the order Orthoptera. It includes the insects commonly known as crickets, katydids and bush crickets. "Ensifer" means "sword bearer" in Latin, and refers to the long and blade-like ovipositor of the females. Ensifera Facts for Kids. Kiddle Encyclopedia.